If you saw the title of this blog, we bet you would think that it’s about boring statistics and information on labour markets. You aren’t alone, and it isn’t your fault. This is how many organisations gather, analyse and report about labour market information. The good news is that labour market information is more than a collection of job vacancies and (un)employment figures. Labour markets in general are about having skilled people who’re ready to enter/renter the job market. Employers demand skilled people. But this isn’t the whole story. Sometimes the two – skilled people and employers – don’t match or don’t have effective ways of knowing the types of skills and jobs. In other words, unemployment is more than lack of jobs and skills mismatch. It’s here that relevant, up-to-date and attractive labour market information plays a role. It informs and guides those who are out of school and looking for jobs, or those thinking of choosing what to study. Parents and family members play an important role in influencing the career and education choices of their children. This means that labour market information is also essential to change their perceptions. But how can labour market information influence entrepreneurs? This is the focus of our blog. It’s 10:30 in the morning on a working day and cafés are full of young people in Tirana, the capital of Albania. For unsuspecting outsiders visiting Tirana, this may appear a normal routine. Many of the young women and men milling around cafés have good education, including university qualifications. In most cases, the subjects that they studied aren’t demanded in the labour market. In addition, they don’t have job that attracts them and provides them with quality employment. This isn’t limited to Albania; it’s a common challenge throughout South and Eastern Europe. The Risi project in Albania worked with media outlets to change and improve the way labour market information is developed and disseminated – in attractive and profitable ways. By the beginning of 2017, more than 100,000 young women and men were able to access relevant and updated labour market information through the media. This has been a successful initiative. 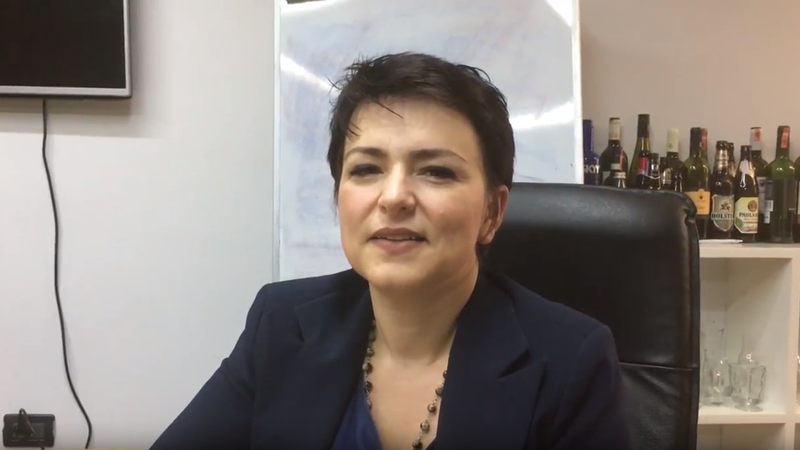 In this blog post, Ermira Shyti, who led the media intervention of Risi Albania, discusses how relevant, up-to-date and attractive information has also influenced entrepreneurs. 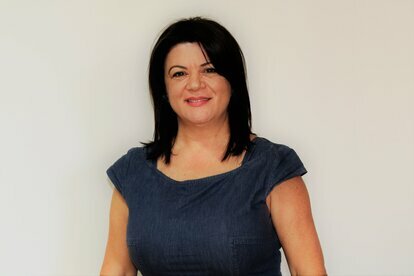 Helveta's Zenebe Uraguchi was in Albania in October and caught up with Ermira. He also met one successful entrepreneur, Gladolia Dona, the Founder and Director of the newly established Hospitality and Tourism Academy in Tirana. Gladolia started her business because of the media initiative supported by Risi. Zenebe Uraguchi: Your main targets, Ermira, when you started the media initiative were young people and their parents. You did this in a sustainable way – not just by buying media space to deliver information but by changing the way radio and TV programmes, print media supplements and online websites produce and disseminate labour market information. I got this. But how did this influence businesses? Ermira Shyti: We couldn’t anticipate initially changing the way how media outlets report labour market information would stimulate changes at service level. Continuous monitoring and impact assessment of media programmes informed us the extent of behavioural changes of the programmes’ audience. Media outlets engaged business representatives and articulated their needs for skilled work force. Such information has had a twofold impact: in addition to informing young people on the skills needed by employers, it was also relevant to training providers on how to better equip young people with job-related skills. Training providers themselves increased their visibility, which resulted in successful cases of training and employment. The information provided stimulated the emergence of new training providers. Zenebe Uraguchi: I also met Gladolia Dona, one of the entrepreneurs who was influenced by the media work of Risi Albania. She acknowledged that in general entering a business is challenging in Albania, and the difficulty is even more in sectors like tourism. Ermira Shyti: Gladolia was struggling to attract trainees for the first training programmes. Her biggest concern was how to target unemployed young people and to make them aware that there is a promising career path in the tourism sector. Risi’s support helped her promote tourism as a high potential sector for gainful employment of young people. This contributed to developing a growing business and marketing strategy through real case example. Part of this support was also the provision of 35 partial scholarships to selected unemployed young people who applied to the academy and were hesitant or could not afford the training. They were all trained and employed, and their experiences were disseminated through various media channels. Zenebe Uraguchi: That is a good point. An additional challenge in countries like Albania is the availability of easy and free donor money. There is a lot of direct support to businesses which don’t seem to last beyond the timeframe of the support. 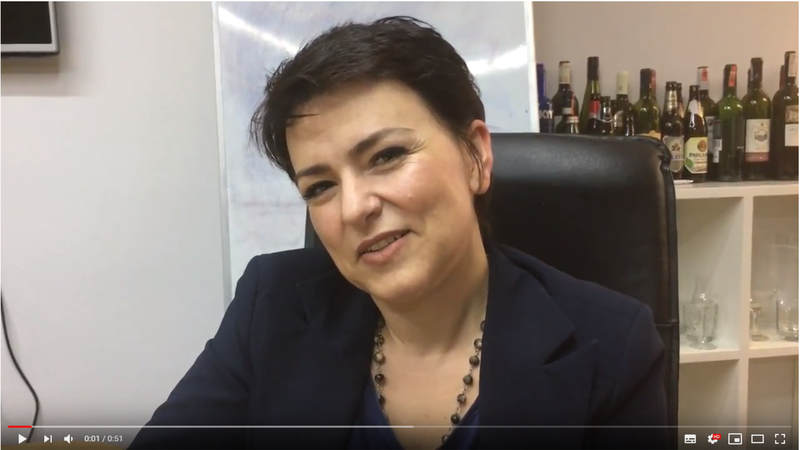 I asked Gladolia how the partnership with Risi was different from other initiatives in Albania. 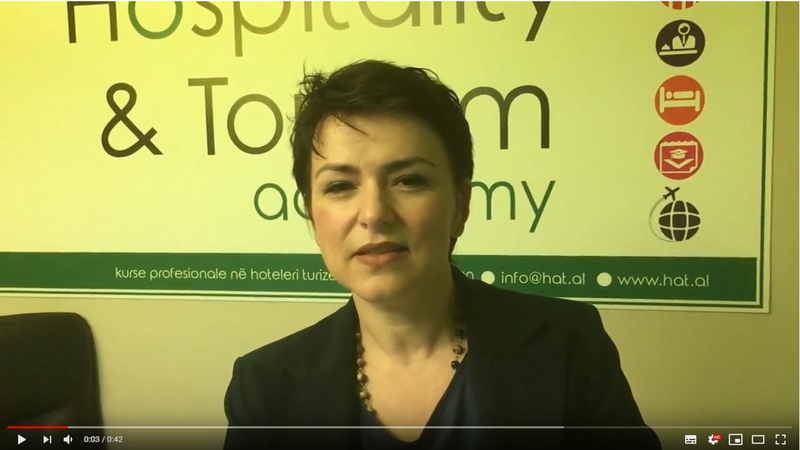 Ermira Shyti: The Hospitality and Tourism Academy started by Gladolia is a good example. There are also other areas of employment and training provision that the media initiative has influenced. To mention some examples: young Albanians who returned from Greece were inspired and decided to have training course to formalise and enhance their skills as welders. Often young people don’t see welding as an attractive employment. This happened due to exposure to media outlets that Risi supported, such as Drejt Punes on Report TV and reading about job opportunities in the “Toward Work Supplement” in Shqiptarja.com. We’ve monitored and collected additional cases in hairdressing and car maintenance. Zenebe Uraguchi: It’s really exciting to know. Yet I see many cases of “island of success” in different countries. Most of the initiatives address one or two challenges faced by businesses. The support given to businesses doesn’t translate into broader issues that businesses face. This means there will be limited long-lasting and large-scale impacts. I think the main reason for this is the lack of focus on systems by which information is produced, exchanged and consumed. Of course, changing systems means changing the behaviour of market actors – that is, people and organisations that exist within those systems. While it’s the role of development projects like Risi to offer alternative or improved business models or ways of doing business, actors should also be ready for such a change. Here is the advice from Gladolia to other young people and businesses. Ermira Shyti: The challenge you mentioned, Zenebe, is a reality. Risi addresses this from three angles. First, we design additional but limited support to others to stimulate them and take up innovative models. An example is Gjej Pune (Find a job) on Droni.Al online news portal. Second and as I mentioned above, we improve our monitoring system to know what works and what doesn’t and why. Third, as we’re doing in this blog, we proactively engage in documenting and disseminating successes and failures so that others learn from our experiences. Stories like Gladolia stimulate others to do the same or even better things. Zenebe Uraguchi: What next then in your media intervention? Ermira Shyti: Here is our key takeaway: relevant and attractive information is key not only to addressing the mismatch between supply and demand within the Albanian labour market, but also in changing values and perceptions around jobs and careers. We’re therefore trying to leverage good practices from Phase 1 of Risi and shift the emphasis from broader labour market information to relevant and specific information for deciding on a career path and starting professional life. At the core of the support is ensuring that information is up-to-date and attractive for both women and men (gender-balanced) and for urban and rural youth. Indeed, media outlets need to see the business model behind their involvement. Non-formal skills developers are part of programmes developed and disseminated by media outlets. They promote their offers and success cases. They also get informed about the dynamics in the skills development market.